Join our partner organizations as we dream of an other Israel. In this inspiring and hopeful brunch symposium, our partners and community share their visions of the future of Israel. Through moderated, interactive lighting-sessions, each organization will present their vision and what they do to fulfill it. Followed by the screening of New Voices 2013, where visions will be shared on the big screen. Coffee & Bagels provided by Zabar’s. Join us for the festive opening, featuring a special performance by the dancers of Dancing Classrooms. Screening will be followed by an exclusive reception with special guests and filmmakers. How do you foster understanding between Jewish and Palestinian youth raised to distrust one another? Dancer Pierre Dulaine, born in Jaffa to Irish and Palestinian parents, proposed a solution: ballroom dance! This look at five schools in Dulaine’s hometown participating in his “Dancing Classrooms” program, focuses on Dulaine, his program’s participants, and a teacher at one of Jaffa’s rare “mixed” schools, and the build-up to a competition that demands teamwork between the 11- and 12-year-old Jewish and Palestinian dancers. Join the New Israel Fund’s New Generations and other young leadership groups for a Shabbat dinner and intimate conversation with guest filmmakers, sharing their visions of the future of Israel. Co-presented by New Israel Fund and JCC 20’s and 30’s. Here Comes the Sun tells the story of an American and his family who attempt to produce green energy by building a solar field on Bedouin ground in Israel south. This idealistic dream soon turns sour when it is met by confrontation and hostility from all sides.  This soon to be produced award winning script is the first project supported by the AFIC (American fund for Israeli Cinema). Join us for a reading of select scenes over a glass of wine. The Academy Award nominated documentary, the Gatekeepers, was based on a five hour TV series. Director, Dror Moreh will introduce the TV series’ US premiere. Join us for the special presentation of an episode followed by a conversation with the director. This event is part of the R&R Shabbat at the JCC. Followed by a conversation and dessert reception with a playlist by DJ Eyal Rob, courtesy of AICF. The chaos of bombs falling is nothing compared to what happens when one Palestinian family gathers for a wedding in Galilee. Daughter Hajar has come home with an Anglo-Saxon, Christian boyfriend, when patriarch Abu Majd drops into a coma, a clamor to sort out his legacy ensues, and, as long-hidden secrets are revealed, the family reunion increasingly resembles its own battlefield.